What is the Loro Piana Cashmere? Loro Piana Cashmere is the largest cashmere and baby cashmere transformer in the western world. It is obtained from the Hircus goats, where from each goat are obtained about 250 grams of underbody every year which, after the dehairing, (the elimination of the coarser external fibers removed with combing) are reduced to no more than 100 grams. This is why Cashmere Loro piana is so precious. The Cashmere that reaches excellent levels of quality, is transformed into Cashmere Loro Piana Jacket, Loro Piana Cashmere Gilet, and Loro piana Coats, of superior quality, thanks to sophisticated technologies combined with a deep knowledge of the textile tradition and a constant commitment to achieving the highest standards quality. If you are looking for a warm, soft and enveloping coat you can not miss the collection Cashmere Loro Piana Elpidio Loffredo, which comes from a fair compromise between cashmere-fur, practically an innovation for the global fur industry. Loro Piana Coats, Loro Piana Vest, Cashmere Fur, Cashmere Sable, Loro Piana Cashmere Capes and much more. 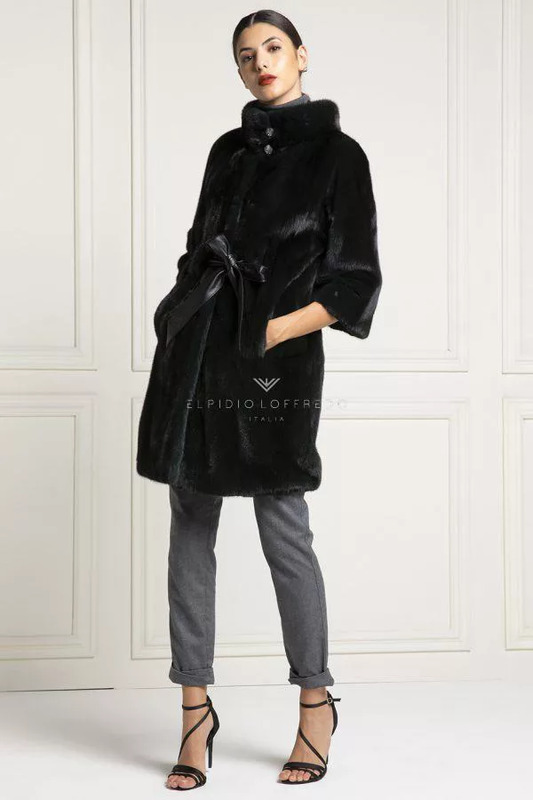 With the intuition of the combination between cashmere and fur, the Elpidio Loffredo collection has succeeded in modernizing the fur market, or even creating its own market, that one of the Cashmere Fur. 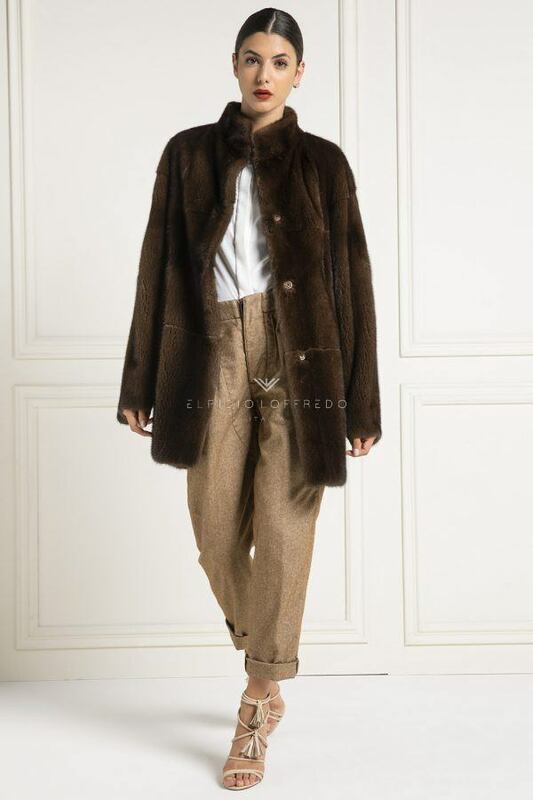 With the combination of the fur on their Cashmere Loro Piana garments, Elpidio Loffredo has managed to create an extremely elegant garment that is at the same time easy to wear at any time. 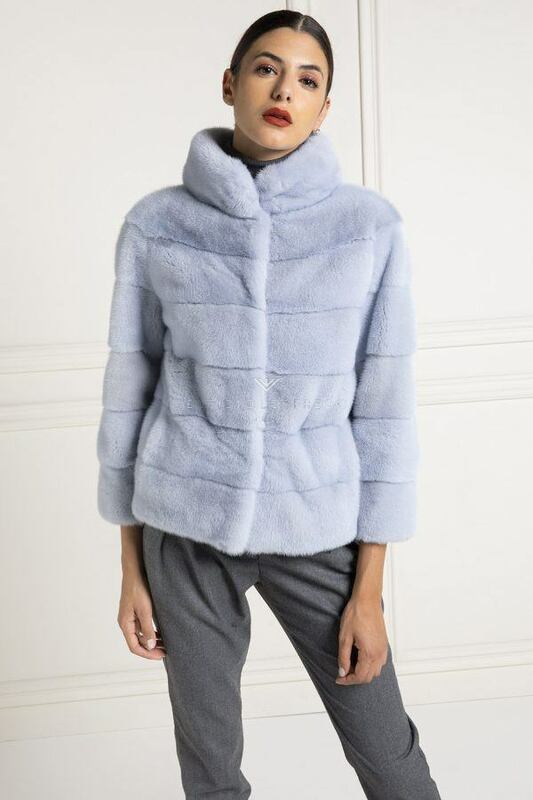 The main combinations are those made with Cashmere and Mink Coats, Cashmere Jackets bordered with fox fur, or the fantastic cashmere gilet with chinchilla fur, and the cashmere coat with sable fur. 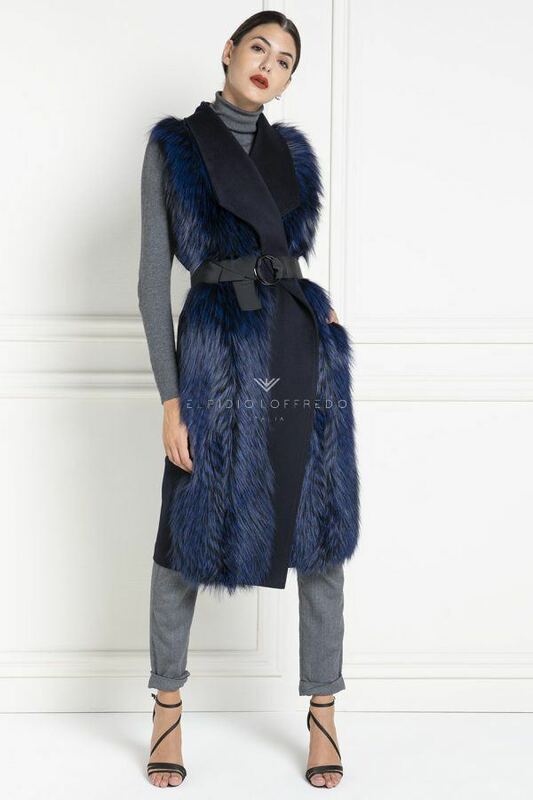 The Elpidio Loffredo Loro Piana Cashmere collection is made using almost exclusively the best quality barguzinsky sable fur on the market for the entire collection. The coloration for natural furs is very beautiful combined with cashmere, as there are beige sables combined with a light-dark beige cashmere, and a brown sable color matched with blue and brown cashmere. 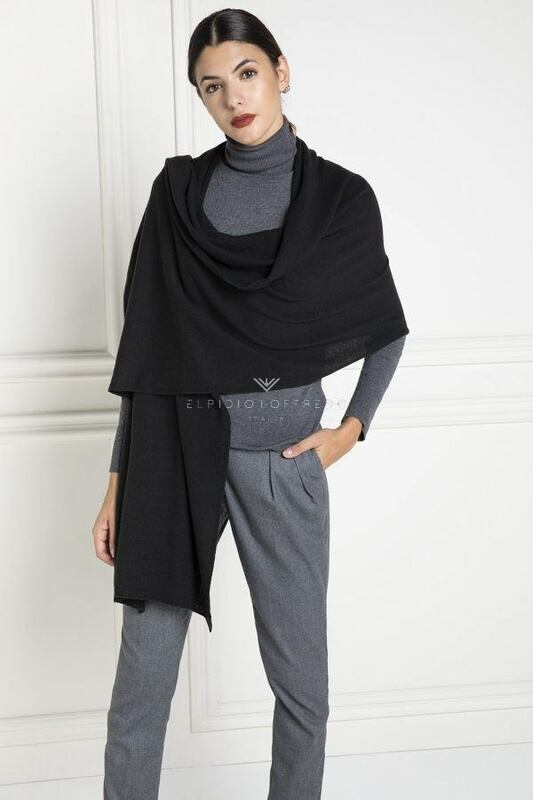 If you are always looking for new garments, in the New Collection Elpidio Loffredo 2018-2019 is coming the new garment in Zibellinated Cashmere, even softer than normal cashmere, with a greater heat emission, and above all even lighter and more beautiful to be seen! Loro Piana Cashmere coats, which one to choose? As already mentioned, the Elpidio Loffredo Loro Piana Cashmere collection includes a large variety of Loro Piana Cashmere coats and furs, with inserts of different types of furs. All Cashmere furs are of the highest quality and depending on the use and budget available, you can choose the cashmere jacket with fur best suited to your needs! Cashmere Loro Piana Fur Prices? Often there are Cashmere coats for low prices, this is due to the origin of cashmere. Usually there are very low prices coats in Chinese cashmere, which once worn sting in contact with the skin. The Elpidio Loffredo collection is made using only 100% Loro Piana Cashmere, obviously of the highest quality. The Loro Piana Cashmere coats and furs from the Elfidio Loffredo collection are made only by expert Italian artisans, working the entire cashmere collection by hand. Obviously the Loro Piana Elpidio Loffredo prices are very competitive, as the cashmere coat price is very low compared to the market, despite offering a super quality! The thing that mainly affects the price of a cashmere coat is the fur edge. Top quality leathers from the best auction houses were selected for the edges too. Fur Cashmere Loro piana where to buy? 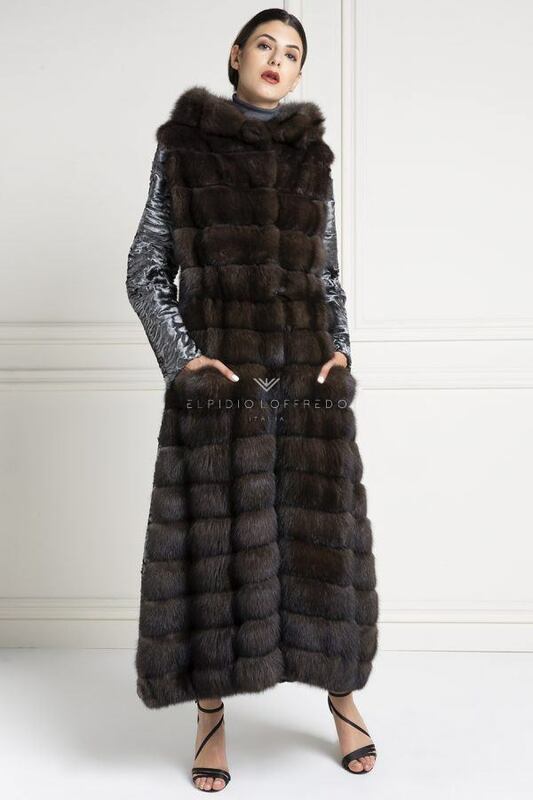 Relying on Made in Italy and a stylist known and appreciated as Elpidio Loffredo, will provide you with the right guarantees and the certainty of having brought home the fur jacket of your dreams. The prices for the Cashmere Loro Piana Coats and the Cashmere Furs can be found on our web page, but also in the Loro Piana Online Outlet section. There you will find the right garment for you, obviously all produced with the highest quality as in the rest of the Elpidio Loffredo Cashmere Loro Piana collection.